Would I recommend hiking a tiny, narrow crater rim in gale-force winds? Well, no. Did I love doing it? Hell yes! I am coming back to Hawaii, without a doubt. 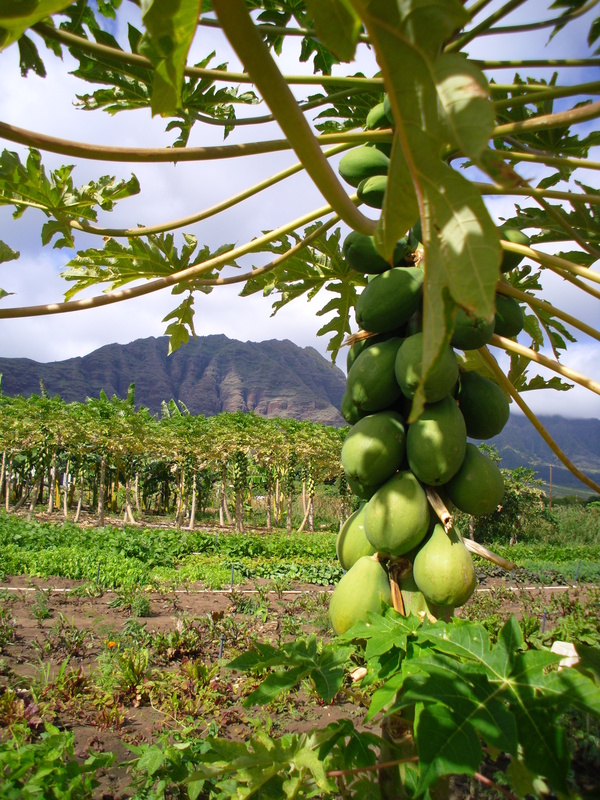 Before setting foot on the islands, Hawaii – to me – was a place my rich classmates went on vacation. A place of grass skirts, necklaces of flowers, and tiny guitars. I didn’t feel a sense of belonging as the plane dropped lower over the cobalt blue waters and reef shadows. A splash of rainbow shined its welcome and the stewardess sang a Hawaiian chant upon landing, confirming the sense of “elsewhere” to me. I approached each interaction as an outsider – full of my typical curiosity. Five days earlier in Oregon, I’d finally gotten a Sri Lankan man named Sooriya on the phone. He’d been recommended to me by a man I’ve never met whose farm profile I’d read weeks previous. Jovially and honestly, Sooriya had warned me that his farm had no electricity or hot water, had informed me that my stay would not be “entirely convenient” for him, had told me the overview of his stunning life story, and had explained to me that he lived “hand to mouth” and that “the creator provides.” Uhhh….I’m in! No surprise, really, that after a long bus ride chatting with both delightful and unsavory folk – a sweet, geriatric woman whose stories usually took place “before the mainland took over” vs. a crazyface whose words rarely made sense – that Sooriya did not turn up at our 2:30 post office meet up. However, my bus had been 15 minutes late and I have no cell phone. Who knows what the creator might have been up to in the mean time? Two helpful strangers (thanks Onstar Alicia and teenage-cellphone-girl! ), one payphone call to my mother, and nearly three hours later, Kerrie swept me up for a fantastic week on the farm. Harvesting and eating fresh papayas each day (from trees that are hollow in the middle and grow 12-15 feet in months!) were among my favorite tasks. Upon arrival I immediately joined Sonia in the kitchen chopping veggies for amazing Japanese food and learning to roll sweet potato leaves around tofu that passed my “worth eating” test with flying colors! The gorgeous tropical flowers everywhere (in February! ), birds cooing-hooting-chipring every morning outside my abode, the stunning mountains with faces carved by bear-claw gods, the breathtaking clouds being gently pushed around by the tradewinds, even the mongoose sneaking behind the outdoor kitchen (oh! the outdoor kitchen and outdoor shower!) and the confident-yet-not-cocky-rooster with his unique crow… I was in heaven! 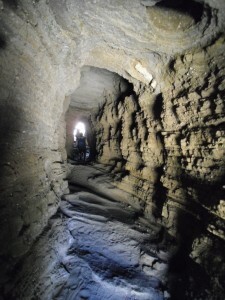 How can you not adore a hike that requires a trip through a lava tube?! A week into my stay, I headed “to town” (as Honolulu is known in all other parts of Oahu) for a pre-arranged couchsurfing date with a fellow Wyoming-ite. Kim took me to an amazing beach barbecue and volleyball fiesta where I met at least a dozen incredible people, including the wonderful Rachel. One killer hike later (as previously alluded to) along a windswept precipice overlooking amazing ocean vistas, then across a firing range and through a lava tube dodging ocean waves back to the parking area, I returned to the farm with Rachel in tow. Of course we were greeted by a double rainbow… ahh, Hawaii. The days flew as Terrell, Tara, Rachel and I ticked farm jobs off the list and shared endless laughter late into the evenings. I was deeply tempted to stay forever (It’s Hawaii! I’m an American! It may not feel like my country, but I’ve got a free pass to be here!). I always hate to go, and my couchsurfing Friday arrived too soon. However, Cheryl and Ian and their lovely little boy instantly stole my heart. They are passionate, vivacious people who introduced me to their laugh-a-minute friends, took me out to wonderful dinners, led me on amazing hikes, threw spectacular parties, and provided fascinating conversation. 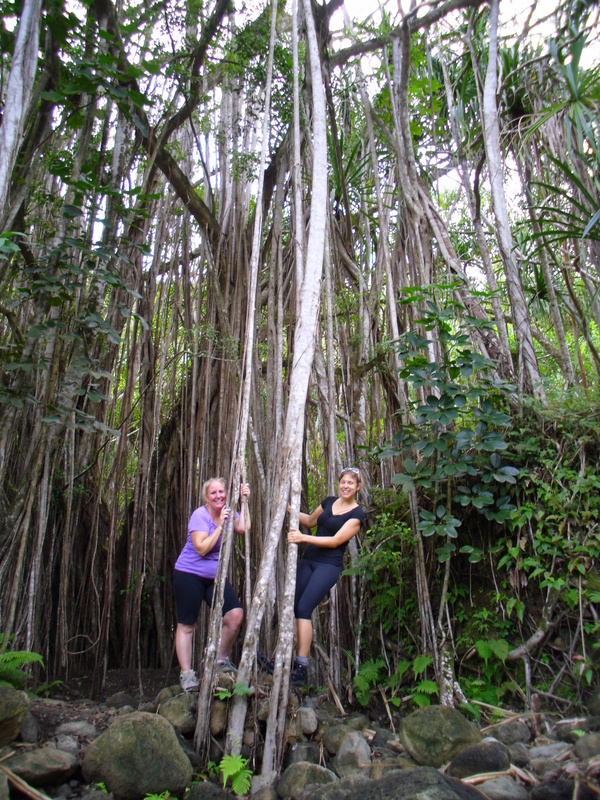 Linda and I (gently) rocking the Banyan tree on our waterfall hike! Then, suddenly, it was Monday and I was climbing into the front seat of Linda and Ron’s SUV for the finale to my two-week Hawaiian hurrah. 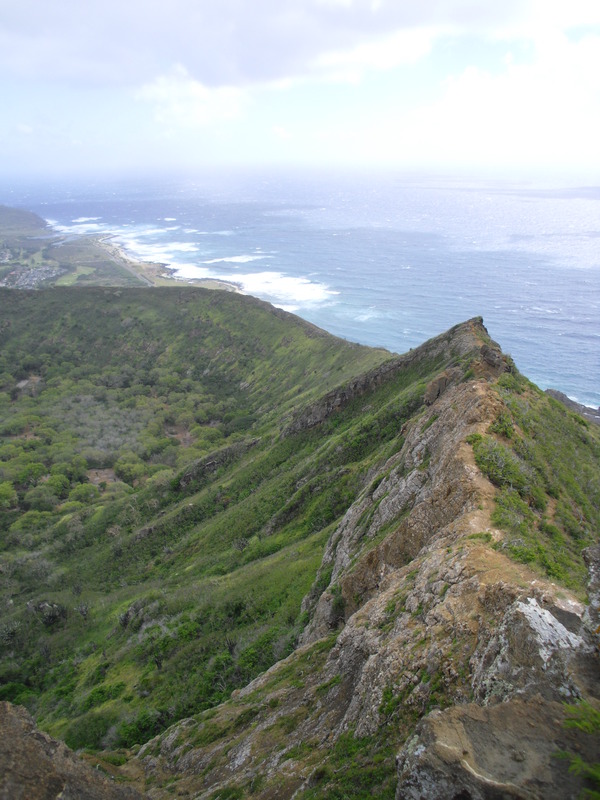 The remarkable differences between the island’s (Oahu’s) west and east sides warranted serious camera action. The rainforest of the east coupled with being practically snuggled in the bosom of the mountains plastered a perma-smile on my face. Linda brought me to a breathtaking Buddhist temple and took me waterfall hiking. Ron fed me amazing meals of sashimi pupu (appetizers – yes, pronounced poo-poo), butter tuna with pepper and onions, amazing garlic and mushroom chicken, and guava vodkas. See the farm kitchen, farm temples, and something that must be a relic from the set of “Lost” in this facebook album. 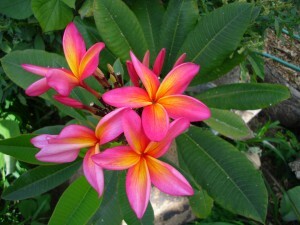 Wouldn’t be a Hawaii blog without flowers! The strength of Hawaiian culture amazed me. At the bar one night with Terrell and Jesus, the Hawaiian vibe underlaid every song played by the band. Just imagine going to live music in Oregon and hearing the Chetco flute and style influencing each pop song being played. Incredible. Asian influence is obvious in so many ways – including the siomai in 7-11! Called manapua in Hawaii – it’s a filling (meat, veg, etc) wrapped in a very white dough and steamed. Also, many houses here feel like Bali. Almost all have permanently open windows in the form of extra-large, built-in, glass blinds. Listening to the mix of Hawaiian and English spoken in a few places felt like being back in the Philippines listening to Tagalog (which has enough Spanish and is often mixed with enough English that I can pick up the gist of what’s being said). 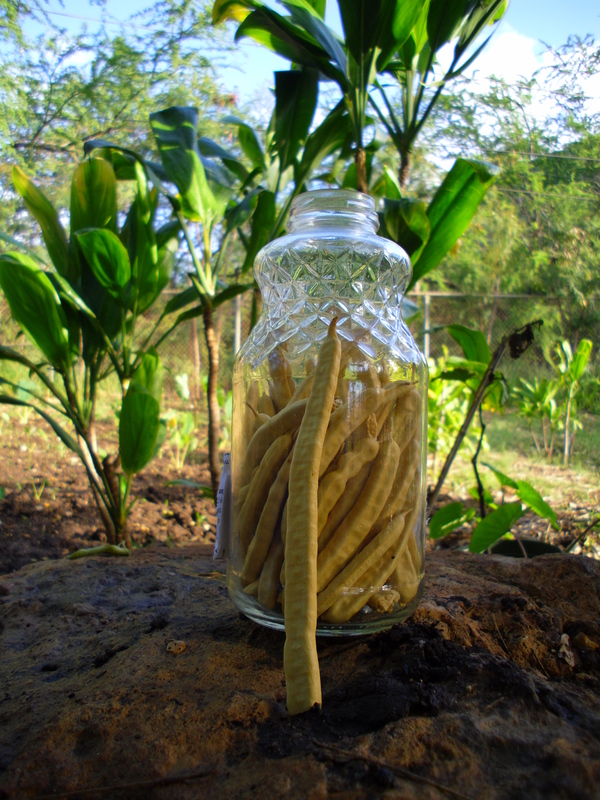 Kiawe pods – yum, yum, yum! 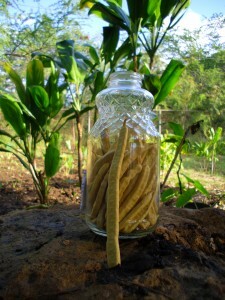 I had an awesome day (“Aloha Friday!”) at a local charter school learning about and then helping to teach kids about “Kiawe” flour – a mesquite relative whose bean pods are used for food among natives in the American Southwest and in Argentina. The kids said a Hawaiian prayer before entering the garden classroom that asks ancestors to bring them knowledge, then sang a thank-you upon exit to show gratitude for their learning. I became “Auntie Jema” for the day – I guess everyone is family here! I even got goodbye hugs at the end the classes – what sweet kids! The girls from one class even taught me a (very difficult!) Hawaiian dance. My hips hurt just thinking about it. At lunchtime, I was particularly struck by one powerful little soul who performed a rap she wrote in “the Hawaiian way” for us about a farm she’d been to which included the poignant line, “listen to the quietness.” Later I was told this incredible young person lives in “the boatyard” – essentially a garbage heap of pieced-together “homes.” Wow. Also powerful – when asked if they anyone in their family had diabetes, every single child in every single class all day long raised their hand. Every kid. Every single one. Damn. I ended up in Hawaii thanks to secret knowledge from my favorite cheap flights website – skyscanner.net. Using search techniques possible only with their system, I figured out a ticket to Australia for 50% off. The catch was at least a two day layover in Hawaii. I went for the 17 day option! Loved your Hawaii blog Jema! Sounds like you really made the most of your time there. You’re kind of like the Johnny Appleseed of kindness and friendship. Onward ho you go!